I often encourage people to try out storm chasing, both my friends and family as well as people I talk with over social media. Especially when I post promotions and try to encourage my followers to take the step and book a tour I often get replies like “I really would like to go storm chasing, but I cannot afford it.”. First of all, for some people storm chasing will always remain a dream due to financial reasons (or health reasons for that sake) but for many others it is more of a matter of dedication. Do you really, I mean REALLY, want to go? If yes, remember that the difference between a dream and a goal is just a date. Write down a year when you will go and make sure you find the solutions to go that year. If you prioritize this high enough, you will find a way! Storm chasing does cost a lot of money though and as a complete amateur your only viable option is to go on a storm chasing tour. The cheapest tour as of now is the May mini tour by Silver Lining Tours which cost $1.500 for a 4 day tour and it is sold out for 2019 already. One also have the option of going on a private one day tour which is much cheaper (usually around $300) but then you have to be close to the target area or be able to fly in on a short notice which makes it more or less an impossible option for aficionados overseas. The benefit is that the tour guide usually pick a day when there is a good chance of seeing supercells and/or tornadoes. Still, if you fly in and stay a night at a hotel afterwards the total cost for a one day experience probably end up around $500-600, at least. I would not really recommend anyone to go on a storm chasing tour less than 6 days though. You usually have to use 1 day to go to a another location and another day to go back which leaves you at 4 days of actual chasing. During those days you have to time a window when the weather is suitable for storms in that general area. 4 days should be fine for at least one good storm day but I have experienced windows of up to 10 days without a real storm in sight, in June though – May typically has storms more frequent and shorter distance in between. Having said all this. Yes, storm chasing tours cost a lot of money but they are not expensive per se. A great amount of your tour fee goes to pay for gas and hotel rooms. An additional cost to hire a dedicated driver and further more to pay for insurance. They also need to calculate for additional costs for occasional quick replacements of windows, emergency rental cars in case something happens to the ordinary van etc. Typically, one does not run a storm chasing tour company as one sees a great business opportunity but more often to be able to chase and get some extra money out of ones knowledge and experience instead of spending a great sum each season. Still, there are some tours (tour companies) that are quite pricy. As I have never tried them I don’t know what motivates that extra cost but all I know there are great tours for about $2.500 for a 7 day tour. If you pay much more you are probably paying a premium, possibly because of the tour guide being a TV star or the likes of it. Wait for discounts – Many tour companies offer discounts in the winter when the first seats have been sold out and they are looking to sell out the last seats. Some offer “early bird” discounts in the Fall and many offer “last minute” deals to sell out the last spots in March/April. You may not get the best tour dates by waiting but you will get cheaper tours. I am dedicated to find every existing tour discount and put them under the Deals & Discounts section of this website, so check that out. Use additional discounts – Almost all tour companies offer further discounts if you share hotel rooms, some if you are a veteran etc. Check out these discounts on the tour company you are interested in. Negotiate directly with a tour company – if you are very far from reaching the budget there could be other ways of cutting the price. Especially small tour companies could help you out. Some need drivers (check out StormGroup chasers specifically for this). Perhaps you can help the tour company in another way through your profession (photographer, mechanic, lawyer, web developer, marketing expert, accountant etc)? You could perhaps put yourself on a waiting list for a certain tour if there are any last minute dropouts and take their spots at a highly discounted rate? Make it your Big Gift – if you have a birthday coming up, make sure you tell everyone that the ONLY thing you want is to go storm chasing – and get some cash to get closer to that goal instead of a new set of BBQ tools. Do the same thing for Christmas etc. 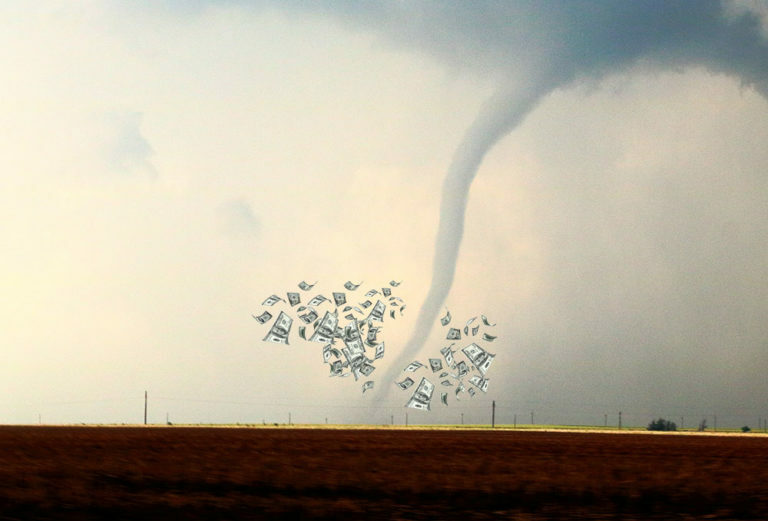 Save on a dedicated account – Make sure you save a certain amount of money each month and put them on an account dedicated to be used for storm chasing a specific year. Another option is to partner up with a storm chaser that is looking for someone to chase with. Many drive solo but would prefer to chase with someone else to share the experience, share the gas and hotel costs and to share the time spent behind the steering wheel. Your best option here is to log in to StormTrack.org (a storm chasing forum) and look for threads about people looking for chase partners. If you have no knowledge about storms or storm chasing, this may be tricky but not impossible. Perhaps you can make up for it by driving more, paying a bit more, being a great photographer or the likes of it? Twitter and Facebook are also good options but trickier to use to find storm chasing partners. I have successfully found partners to chase with through StormTrack and the storm chasing community in general. Offer to write an article to your local newspaper – If you are from a country where very few have heard of storm chasing, maybe your local newspaper or a local adventure magazine will pay you part of the cost if you write an article about it afterwards? Do a social media thing about it – Do you have a decent following to a social media account? Perhaps you can convince an advertiser to sponsor you and post everything you experience, including your preparations. Well, that’s about what I can come up with in terms of making your storm chasing trip happen, even if you don’t have the cash to go through with it this particular season! Please, feel free to add comments about additional tips! I have never heard of them before but thanks for the tip!